Transform your travel business with real time digital empathy. bd4travel profiles every single user – so that you understand each users interest and intent in real-time. Then we instantly recommend the most relevant product, service or content for them from your portfolio. Depending on your needs, customized implementations can be done in days, ensuring immediate impacts to your ROI. Hosted in a secure cloud environment, meeting your data security and privacy requirements. Seamlessly embedded in your distribution technologies (e.g. peakwork, TravelTainment, in-house). Creating a selling process that inspires without intruding. Engaging users individually to foster the their personal search and decision process. Highly engaged customers convert better, spend more and show greater loyalty. Gain deep insights into your audience and understand their interests and intents. Monitor the shopping experiences of your customers and react if issues occur. Steer your target product portfolio to receptive customer segments. bd4travel have enabled us to provide real-time recommendations and a data management platform to understand what customers are looking for. We’ve seen strong results so far with improved engagement leading to increased conversion and we believe there’s more to come. John Musk, Senior Product Owner, Travel Republic Ltd. The US travel industry research authority Phocuswright Inc. yearly conducts “The Travel Innovation Summit @ The Phocuswright Conference”. Each year, 32 innovators are selected from numerous applicants to demonstrate ground-breaking applications and solutions that are set to change the travel industry. The winners represent the best of this elite group. bd4travel was granted the Award for the best Marketing Innovation of 2014 due to its significant potential to promote unique travel offers to individual travelers. 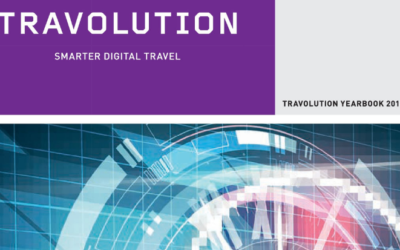 The Travolution Awards are unique in recognising companies, brands and individuals who excel in the fields of online travel distribution, digital marketing and technology. 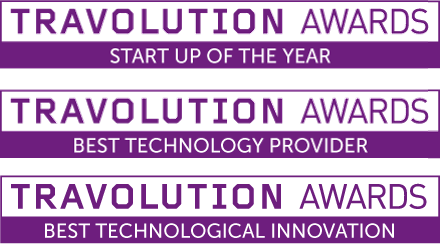 bd4travel was chosen as the “Startup of the Year” within the Travolution Awards 2015. It came as a surprise for bd4travel, as the application wasn´t submitted from the company itself. A great recognition for our progress and positioning. In 2016 bd4travel was awarded one of the most prestigious awards in the British travel tech industry – the Travolution award for being the Best Technology Provider of 2016. Travel Technology Europe, the largest event of its kind in Europe, initiated the Disrupt Awards in 2016. bd4travel was one of eight selected candidates to compete for this award. 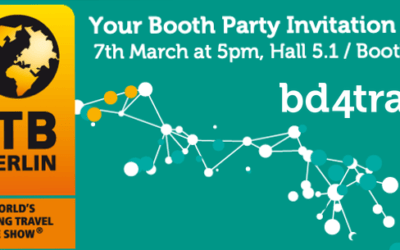 Voted by the show’s 5,900 attendees, bd4travel was elected as the winner of this competition due to its exciting abilities to use big data and digital empathy to help tailor online travel searches to each user – truly helping the industry to excel in customer service. In 2019 bd4travel was awarded the “Innovation in Travel” award within the Travel Weekly Globe Travel Awards 2019. 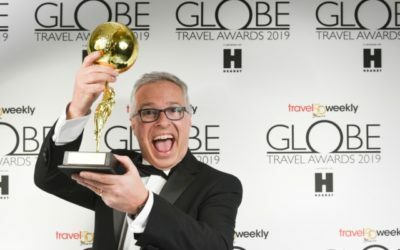 The “TWGlobes” are voted for by UK travel agents and therefore are one of the most sought-after “gongs” in the UK travel industry. They are “recognizing the hard work, dedication and commitment of the very best companies and individuals across every sector of the travel trade”. We are very thankful for this a precious recognition. It was made possible by our great staff, clients and supporters throughout the entire travel industry, we thank you all! Don’t miss the latest updates! Sign up and get our news and personalisation insights sent right to your inbox. We´ll only send a newsletter when we have relevant news for you.